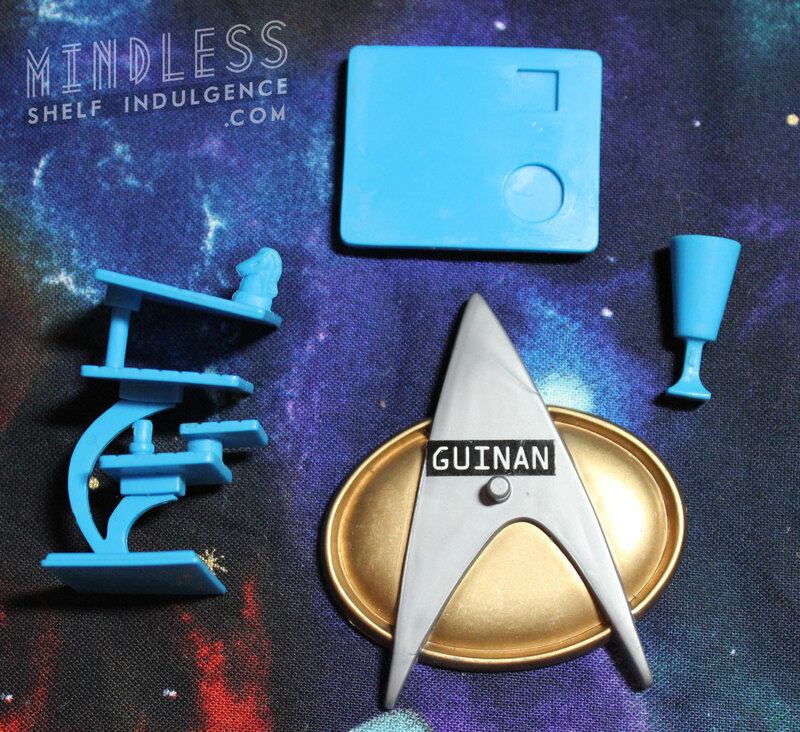 Guinan includes light blue accessories : drink tray, some cups, and best of all a 3D chess set. The second image is missing a small cup; an identical cup (but in orange) comes with the Generations Guinan figure. 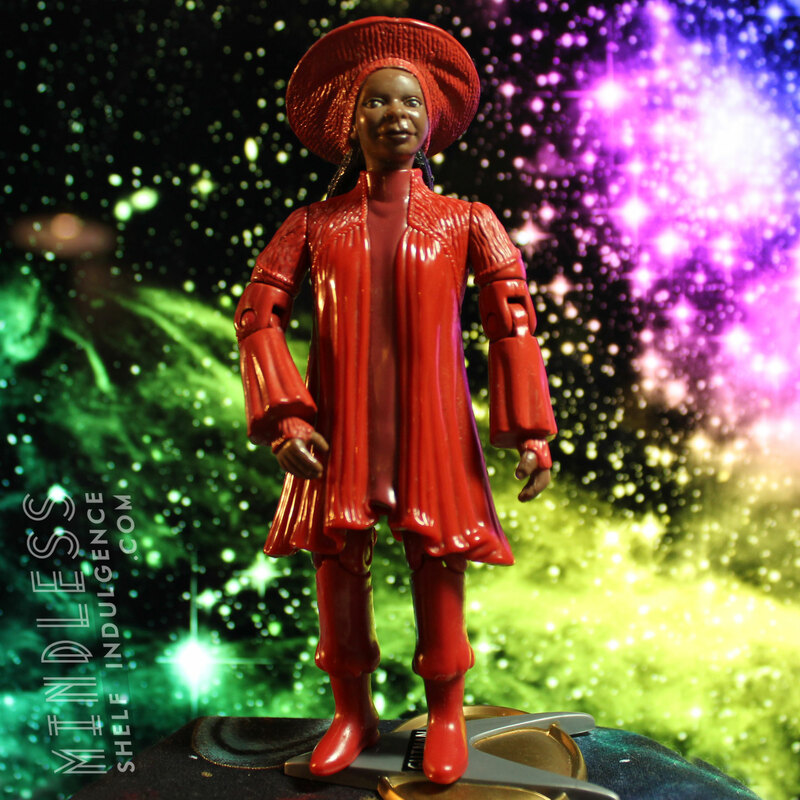 Whoopi Goldberg appeared in 28 episodes of Star Trek, as well as some Next Generation movies, and had just as many outfits. 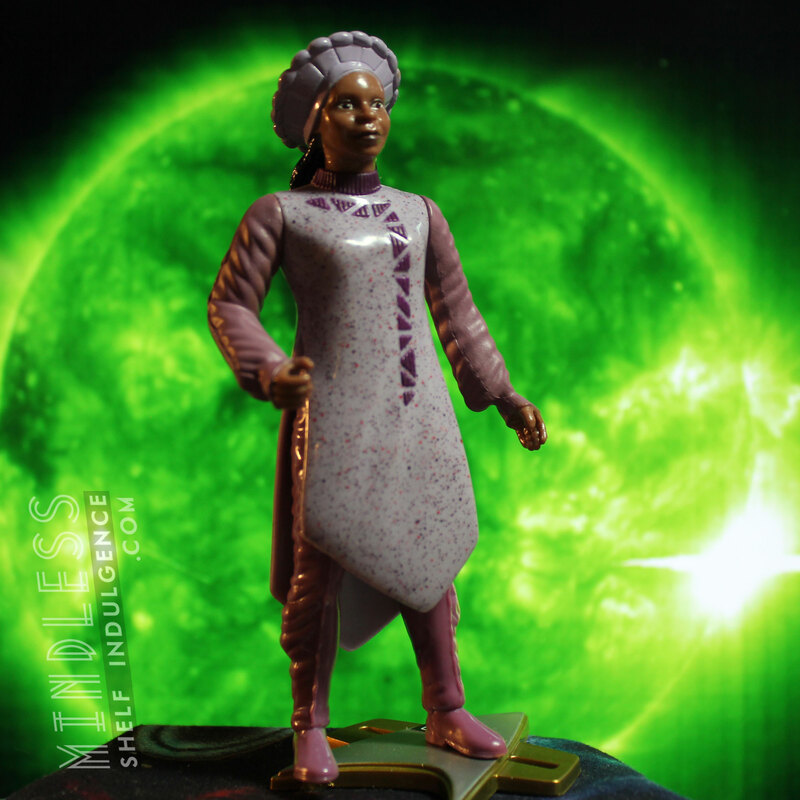 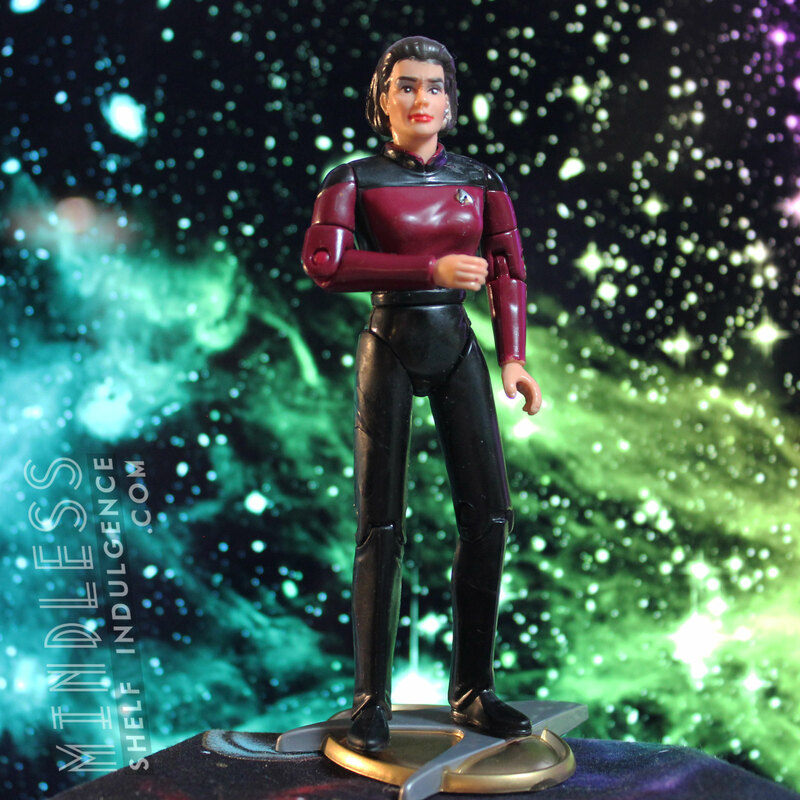 This specific one is from the Season 4 episode ‘Galaxy’s Child’, and is one of only three Guinan figures released, the third being Gloria from the Dixon Hill boxed set.